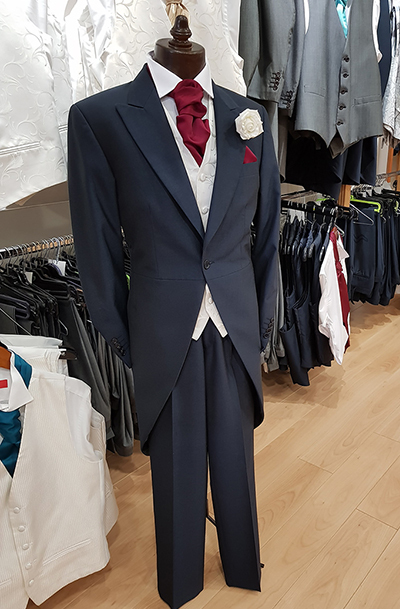 The most traditional of wedding attire that looks fantastic with a colourful cravat and hanky set. Paired up with a dapper waistcoat, crisp shirt, and striking cufflinks the tailcoat will never go out of style. The black and navy tailcoat can be worn with matching striped trousers for a traditional style or matching herringbone trousers for a more modern look. The new mohair fabrics are also available in silver grey, navy, royal and charcoal.